Tours – First Tour in the south-west, Go-Segway ® PT Tours are renowned for the best training in the business built on 12 years of experience. Established – We have been fully operational for over 8 years around Exeter and the UK, first to use Segway’s ® in the forest. Corporate Events/Hire – With our fleet of the very latest Segways, made up of X2/I2 & the new SE model we can accommodate pretty much any request, anywhere in the UK. Safety first – We emphasise safety at all tours/events, and give everyone hands on one 2 one instructions, with fully trained and experienced instructors. The smooth operation and handling of clients are of utmost importance to us, We do not run an event with less than two instructors. From the guys at Go-Segway Haldon forest Segway (number one on trip adviser) This is our new site where we have more land to make a Segway Tour with a BIG difference. Years in the planning, we have finally found the perfect site Cann Woods 35 Mins From Go Segway Haldon Hill Exeter on the A38, and Yes we have got it right! Dedicated Segway Skills Track(after the tour). Don’t take our word for it, check out the reviews. £26.50pp Start your Adventure Segway Here, We will start your session with full one to one training and make sure you are confident with our small forest simulator training track. For Cann Woods Online booking or call number on the Cann Woods segway Website . 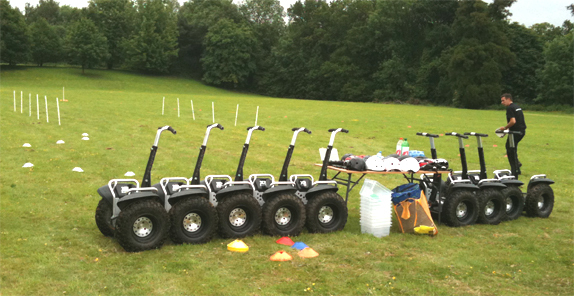 Hire Our Segways for Corporate And Private Events. So much Fun! Offroad Fun For Everyone with our on site catering partners the Ride Studios are available for hire you can plan your event in the Beautiful setting in the forest. Whether you want to innovate, motivate or just entertain, having a Segway experience will provide a great way to boost productivity amongst your staff should you wish something inventive and diverse. If you’re planning a quality conference venue, a stag or hen party or a combination you’ll be left with a lasting impression along with a lot of Segway smiles! Missing something different from your corporate events? Segways are now ready for hire for your events. 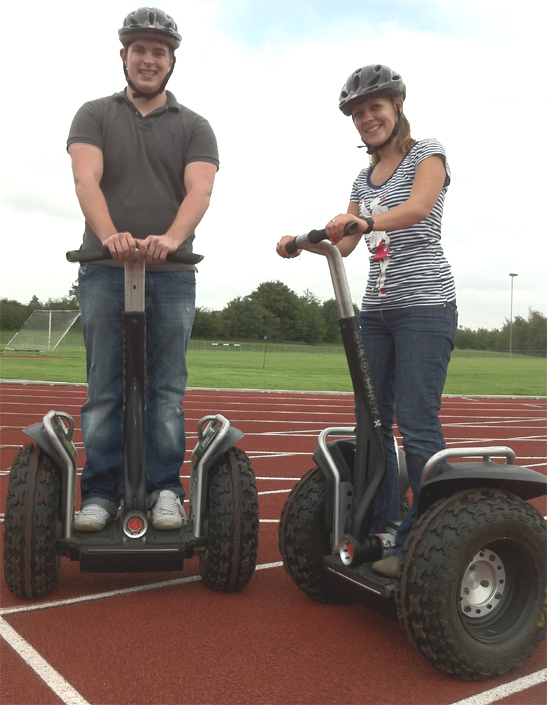 Go-Segway is powered by segway southwest, running Segways all over the UK at leading events for 8 years. We just turn up at your event and everything is taken care of our end. Experience. We pride ourselves on having the right staff enthusiastic about the product to give your clients the best corporate experience. Fun . Once people get on them they wont want to get off them coming back for more. You are responsible for any damage to the Segway hired from us, and a Segway staff member must be notified immediately. All public liability resides with the hirer for any event or demonstration where we supply our Segways.All segways are to be returned in the same condition supplied on the day. You must let us know as soon as you become aware of any fault with the Segway. We have maintained all Segways to the manufacturer recommended standard, and all segways are maintenance checked prior to the event/hire/demonstration. All Segways Events booked through us will be accompanied by at least one instructor should any problems or questions arise on the day of the event/hire/demonstration. This is just a guideline; further details may be obtained by contacting Segway Southwest on the number above. 8am – 8pm Lines are open for enquiries and bookings. Thanks for your interest in the Segway.. We will try to answer your queries as quickly as possible. Office: 01392 660239 answer machine. If we are out of the office please try mobile numbers above.